Maker: Small Town Brewery, Wauconda, Illinois, USA. Thanks to Holiday Market for this bottle (free sample from retailer). Appearance: Dark brown with a fizzy, short lived head. Nose: Grape bubble gum, root beer. Palate: Root beer, aniseed, hint of sweet malt. Finish: Heavy anise, yeast, and yes root beer. Parting words: This bottle was dropped into my cart by Holiday Market’s wine/beer/liquor manager Brian after I introduced myself to him. As such it’s the first free beer I’ve received from a retailer after outing myself as a booze blogger. It could very well be my last. 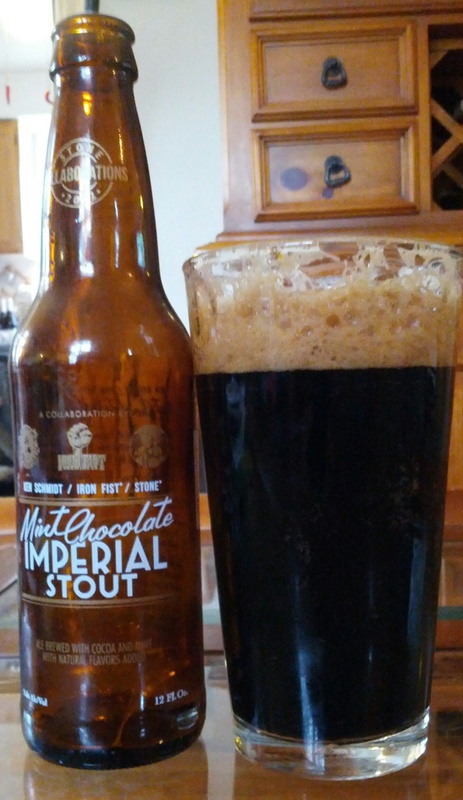 Initialllly, NYFRB tasted just like root beer but it became unbalanced as it sat . The anise flavor became so strong that it took on a bitter quality. The sweetness is way over the top, which I probably should have expected from a product marketing itself as a boozy root beer, but malty notes pop up at unexpected moments leading to some unpleasant clashes of flavor. The fizz dies off much too quickly, too. I set it aside for a few hours and then went back. It was back to tasting exactly like a decent root beer. I then tried it with ice and it also tasted the same. So my recommendation is to serve it well chilled. My wife, who enjoys root beer more than I do and actual beer less than I do, tried this and liked it quite a bit, but she did notice the overly strong anise in finish. If your tastes run toward hers, you’ll probably enjoy this and you should act fast, since it’s apparently highly allocated. As for me, though, Not Your Father’s Root Beer is only mildly recommended. Style: Porter with coffee and vanilla extracts added. Appearance: Very dark brown, like coffee. Moderate head. 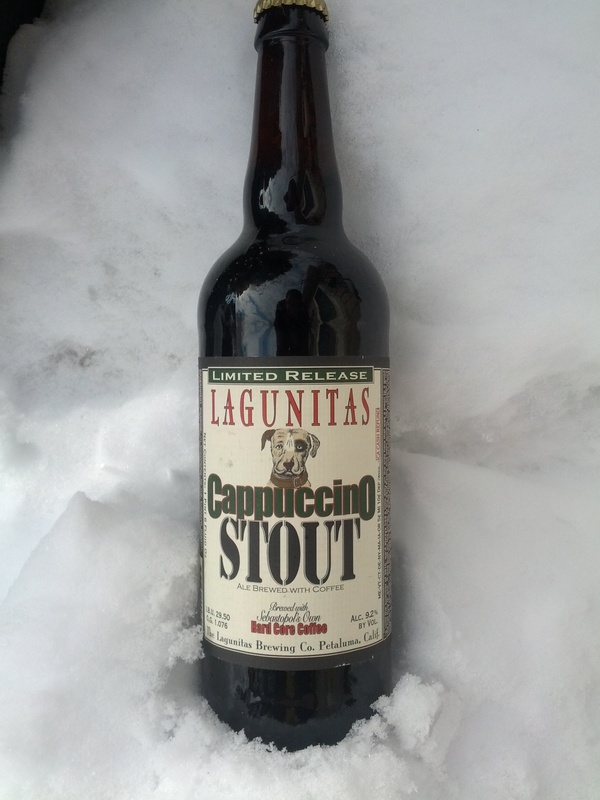 Palate: Medium bodied, semi-sweet and effervescent. Gas station vanilla “cappuccino”, a little bitterness and slightly sour. Finish: Coffee and hint of fruit. Lingers for a while. Parting words: This beer delivers on its promise. I taste vanilla, I taste coffee, I taste porter. I expected something a bit more intense than this, but I can’t complain that it tastes exactly how it is described on the label. It could have used more bitterness and a fuller mouth feel but it’s fine as a change of pace. Vanilla Java Porter doesn’t pair very well with food. It’s best as an after meal dessert pour. Vanilla Java Porter is mildly recommended. Thanks to Brian & Jessica for this birthday beer! Appearance: Coppery auburn with a nice foamy head. On the palate: Effervescent and spicy. More fruitcake, then malt, toffee and a hit of hops. Finish: Surprisingly dry. Spicy, malty and lasts for a good while. 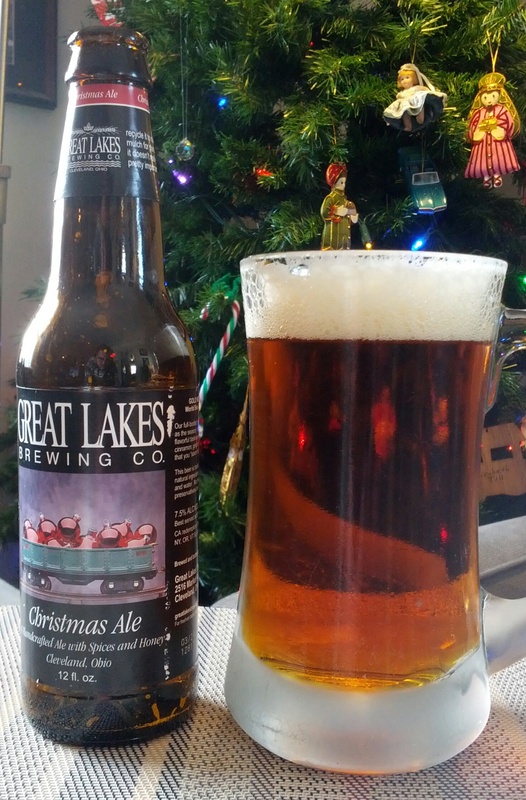 Parting words: Great Lakes Christmas Ale is much more typical of holiday brews than Bell’s. It’s sweet with some Christmas spice and a tiny bit of hoppy bitterness. It’s not complex but it is comfortable like a fuzzy Christmas sweater. It goes just as well with a hearty Christmas feast as with conspiring by the fire. Great Lakes Christmas Ale is recommended.